Should triathletes take an FTP test? 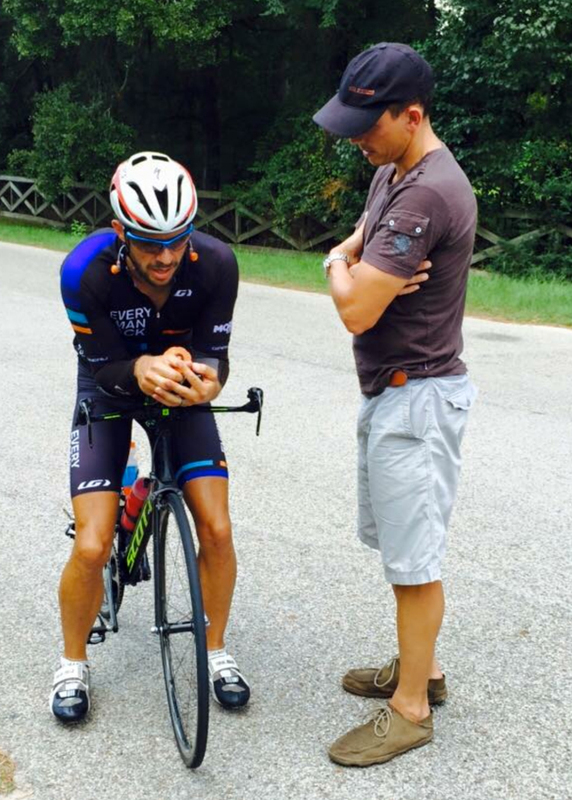 Triathlete and coach Paul Duncan explains the benefits of FTP testing. Functional Threshold Power is the maximum power an athlete can sustain for one hour. FTP is an easily trainable and measurable value. It can be used to establish your entire baseline of training. Paired with heart rate training zones, it’s arguably the most powerful tool for making long term improvements in your racing and training. What is an FTP Test? While it can be done for running and cycling, an FTP test is most prevalent for the bike. The most common FTP test is performed over 20 minutes. The goal is to get an estimation of the amount of power an athlete can hold for a full hour, so the numbers are converted afterwards. Before you take an FTP test, you should always be well rested. Ride at best possible effort for 20 minutes. You should walk away from this test feeling like there is no possible way that you could have gone any harder. After an athlete conducts their FTP test, I usually ask them “Did you taste blood from your lungs?” If the answer is no, it’s time to rest a few days, then redo it! Once the test is complete, we use the 20 minute value to estimate the athlete’s current FTP. From there, it’s used to determine a baseline for training zones. The same information is taken for the athlete’s heart rates. What are the benefits of FTP testing? 1. Training zones. The data helps determine accurate zones for both power and heart rate. This is crucial so that instead of just training blindly, you have a baseline for specific workouts. 2. Race zones. In triathlon it’s crucial that you don’t go out too hard on the bike if you want to run well. Setting a limit based on your FTP will help ensure that you race at the appropriate intensity so that when it comes time to run, you are ready. 3. Fitness determination. This test is the most simple way to measure an athlete’s cardiovascular fitness on a regular basis. It allows the athlete to track their progress over time. 4. Motivation. While this test can be extremely painful, it is rewarding to see that threshold number rise. Every athlete is pumped when they achieve a new threshold milestone. FTP testing is something that should be conducted for athletes of all levels to make the most of every training session. If you have questions on how to set up an FTP test or how to establish training zone, you can contact Paul at pduncan1984@gmail.com.